Gratitude For Everything In Your Life? 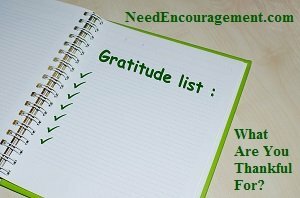 Gratitude is not something that ought to be done once in a while, and it ought to be an ingrained part of our lives! Here are some encouraging scriptures concerning gratitude. Have Gratitude Because You Are Blessed! 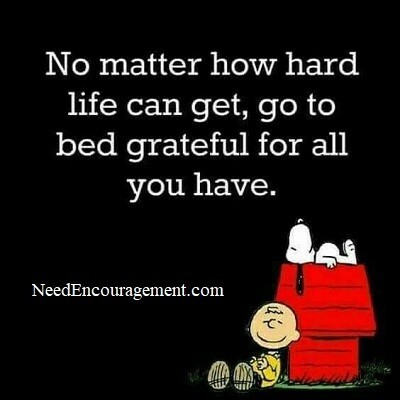 When we have gratitude life is so much better! Gratitude is one of the keys to happiness. What are you grateful for? Understanding helps us put things into perspective. When we are thankful, life is much better than when we continuously complain. I mention being thankful for what you also do not have because you could have a multitude of bad things happening in your life that you do not have. Each one of us has dodged the bullet in some way, shape, or form in life! Being thankful helps me realize that life is not something to just put up with, but something to be grateful for and to give God credit. Does the Bible mention attitude? Is giving thanks to God important? What does the Bible say about thankfulness/ gratitude? Why do we pray before eating meals? Shouldn’t all our prayers include expressions of thankfulness? Gratitude Starts When We Acknowledge God For All Things! Do You Show Your Gratitude By The Way You Live? Kind deeds instead of mean. 1 Thessalonians 5:16-18 Be Joyful always; pray continually, give thanks in all circumstances, for this is God’s will for you in Christ Jesus. Count your blessings, not your crosses! Simple Tips On How To Live A Good Life! When you are grateful, even the bad days don’t seem as bad!